Why are we speaking English? 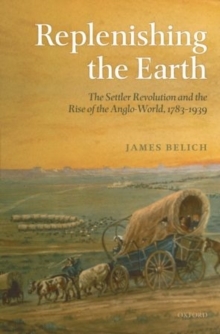 Replenishing the Earth gives a new answer to that question, uncovering a 'settler revolution' that took place from the early nineteenth century that led to the explosive settlement of the American West and its forgotten twin, the British West, comprising the settler dominions of Canada, Australia, New Zealand, and South Africa. Between 1780 and 1930 the number of English-speakers rocketed from 12 million in 1780 to 200 million, and their wealth and power grew to match. 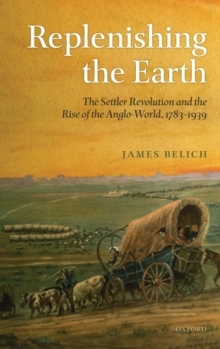 Their secret was not racial, or cultural, or institutional superiority but a resonant intersection of historical changes, including the sudden rise of mass transfer across oceans and mountains, a revolutionary upward shift in attitudes to emigration, the emergence of a settler 'boom mentality', and a late flowering of non-industrial technologies -wind,water, wood, and work animals - especially on settler frontiers. This revolution combined with the Industrial Revolution to transform settlement into something explosive - capable of creating great cities like Chicago and Melbourne and large socio-economies in a single generation. When the great settler booms busted, as they always did, a second pattern set in. Links between the Anglo-wests and their metropolises, London and New York, actually tightened as rising tides of staple products flowed one way and ideas the other. This 're-colonization' re-integrated Greater America and Greater Britain, bulking them out to become the superpowers of their day. The 'Settler Revolution' was not exclusive to the Anglophone countries - Argentina, Siberia, and Manchuria alsoexperienced it. 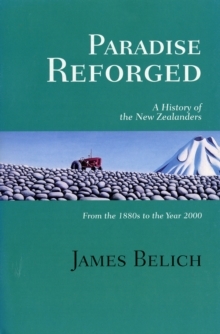 But it was the Anglophone settlers who managed to integrate frontier and metropolis most successfully, and it was this that gave them the impetus and the material power to provide the world's leading super-powers for the last 200 years. This book will reshape understandings of American, British, and British dominion histories in the long 19th century. 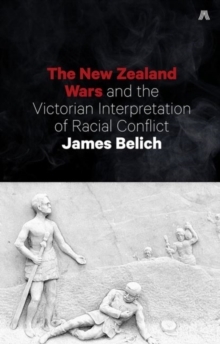 It is a story that has such crucial implications for the histories of settler societies, the homelands that spawned them, and the indigenous peoples who resisted them, that their full histories cannot be written without it.